The copy has been approved and the photo shoot is complete. The next task is to combine the text with the graphics into a design layout that conveys the content effectively and captures the reader’s imagination and attention. 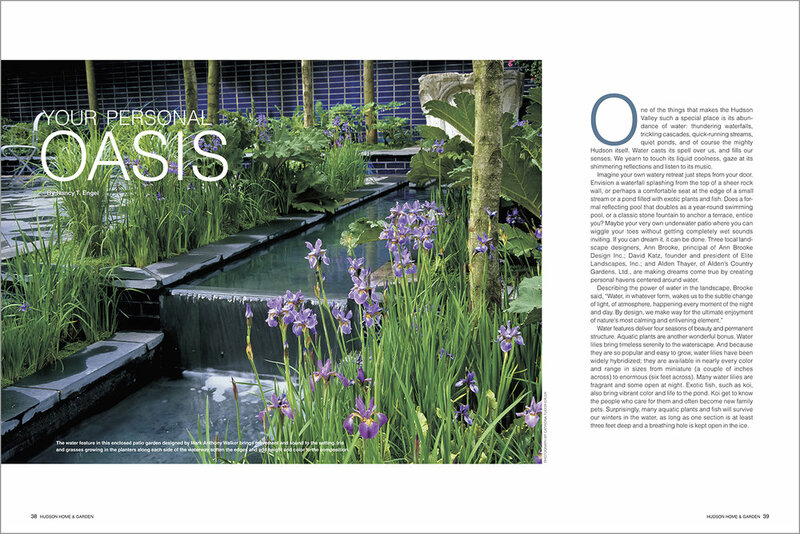 These Hudson Magazine editorial layouts specifically follow a clean, esthetic design consistent with the magazine’s overall look. The handling of the headline, subtitle, tagline, text, author’s name, initial caps, pull quotes, and sidebar is fairly consistent. The treatment of the images and number of columns vary to maintain interest and diversity.